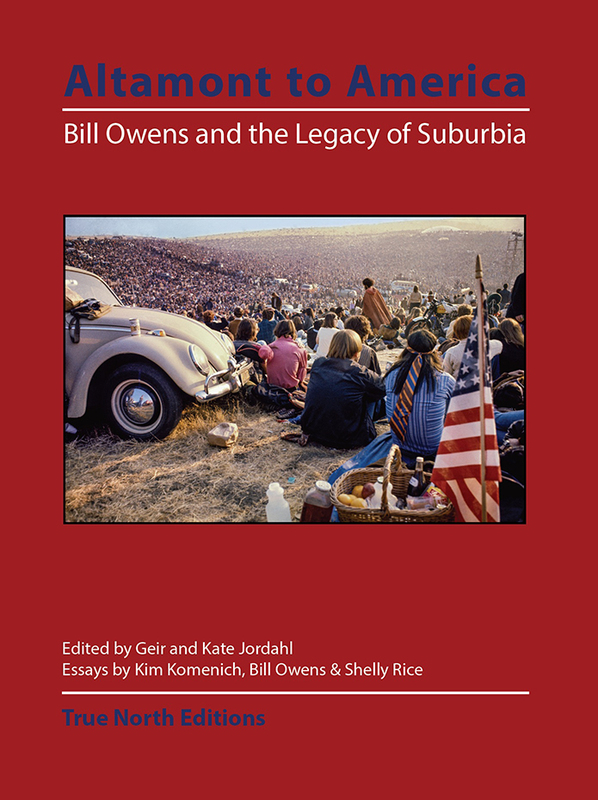 Altamont to America: Bill Owens and the Legacy of Suburbia featuring the work of internationally renowned photographer Bill Owens. Owens was born on September 25, 1938, in San Jose and lives in Hayward, California. From his travels around the globe including a Peace Corps tour in Jamaica, he developed his unique skills and aptitude as an anthropological and social photographer. His book Suburbia, one of the 100 seminal photography books of the 20th century, captured the change in his home territory with much the same spirit of the traveler that he brought to foreign places. Our Kind of People (1975), Working: I Do It For the Money (1977) and Leisure (1979), followed Suburbia. Bill Owens’ work is in museums and collections throughout the world including the Museum of Modern Art NY, Berkeley Art Museum, Los Angeles County Museum of Art, San Francisco Museum of Modern Art, Los Angeles Museum of Contemporary Art, the Getty Museum in Los Angeles, and the San Jose Museum of Art. He has received a Guggenheim Fellowship and two NEA grants. Owens founded Buffalo Bill’s Brew Pub in Hayward in 1983, one of the first brewpubs to open since prohibition. In 2003, Bill Owens founded the American Distilling Institute, a professional membership organization and publishing house “to promote and defend the art and enterprise of craft distilling.” As the president of ADI, Owens has become one of the leading spokesmen of the craft distilling movement. Altamont to America celebrates the work of Bill Owens for his 80th birthday. 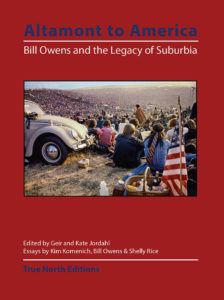 The PhotoCentral exhibition coincides with the book release of Altamont to America: Bill Owens and the Legacy of Suburbia, the catalog for the exhibition. ALSO AVAILABLE: Bill Owens CARS. Contact Geir Jordahl at geir@jordahlphoto.com for purchase. See more images from the exhibition HERE: “Cars” was photographed in the 1970’s and comprise rich color work as well as Owen’s signature black and white photographic style. 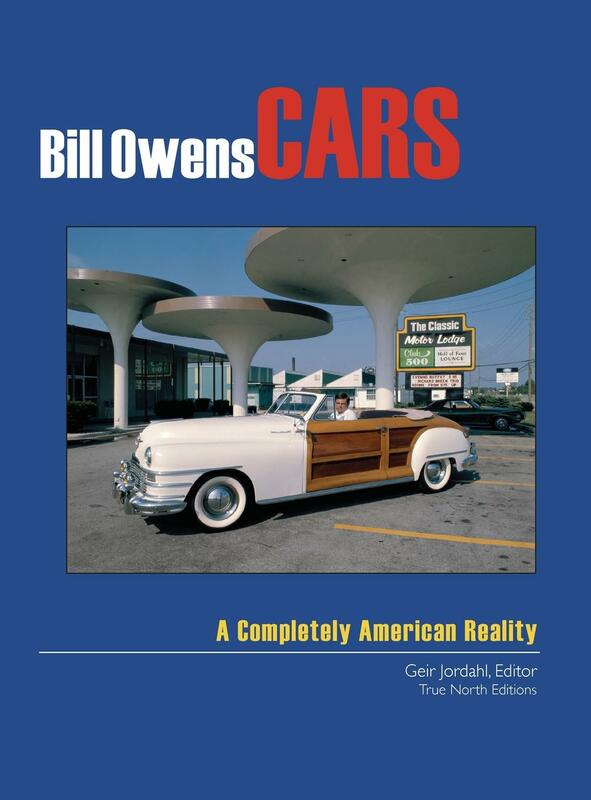 “Cars” complements and supplements Owens’ “Suburbia,” which has been called one of the seminal photographic books of the Twentieth Century. The Village showcases the early photographic work of Bill Owens with essays by Victoria Sheridan and Geir Jordahl. Owens unique photographic vision is best known from his book “Suburbia” published in 1973. This work was rooted in his Peace Corp experience in Jamaica from 1964-66. Mr. Owens received word of his acceptance to the Peace Corps one month after President Kennedy was assassinated. At the time he was teaching High School in San Jose, California. His tour in Jamaica was to represent our country as a schoolteacher in a country village. Before he left he purchased a $10 Leica Camera and taped up the shutter to make it operate. The village people moved him greatly and as he documented his experience he discovered his true passion and calling as a social documentary photographer. Owens has published many books over the decades. He has received a Guggenheim Fellowship (1976) and two NEA grants. “Suburbia” has been hailed globally as one of the most important photography books of the 20th century and has been in print for 40 years, however, Owens calls his Jamaica photographs the work of his heart. Published with the exhibition “Jamaica THEN/Cuba NOW – the photographs of Bill Owens and John Thacker” at the PhotoCentral Gallery, January 25, 2014-April 12, 2014.